Screen Gems Release 'Alice’s Story' Featurette for 'RESIDENT EVIL: RETRIBUTION'! Screen Gems has released a new featurette for Resident Evil: Retribution titled 'Alice’s Story'. The clip recaps Alice’s [Milla Jovovich] journey through the previous installments of the highly successful franchise up to Retribution. New additions to the series include Bingbing Li as Ada Wong, Johann Urb as Leon Kennedy & Kevin Durand as Barry Burton. Written & directed by Paul Anderson the movie also stars Michelle Rodriguez, Sienna Guillory, Shawn Roberts & Oded Fehr return from previous installments. 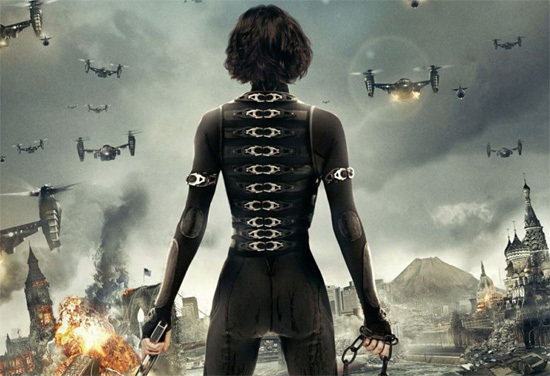 Resident Evil: Retribution hits theaters in 3D, 2D & IMAX 3D this September 14th in the US & September 28th in the UK. Hit the jump for the details. I'm reading: Screen Gems Release 'Alice’s Story' Featurette for 'RESIDENT EVIL: RETRIBUTION'!Tweet this!